theSkimm— known for publishing a free morning newsletter for millennial women — is launching a campaign to get 100,000 people to vote in the 2018 midterms. “theSkimm’s mission is to make it easier for female millennials to live a smarter life. And a huge part of living a smarter life is being an engaged citizen and exercising your right to vote,” reads a blog post from Carly Zakin and Danielle Weisberg, cofounders-coCEOS of theSkimm. The campaign, called “No Excuses 2018,” aims to be nonpartisan and grassroots. A video from theSkimm features a number of well-known politicians, actors, activists and influencers — from Tyra Banks to Marco Rubio — urging readers to vote this midterm. The “No Excuses” platform was originally introduced in 2016, to get theSkimm’s audience to vote in the general election. Over 110,000 of theSkimm’s audience registered to vote — 95,000 of them were women. “Compared to all other demographic groups, millennial women are the most unhappy with the current state of things,” Zakin and Weisberg wrote. However, they said millennial women are the demographic least likely to show up to vote this midterm election. 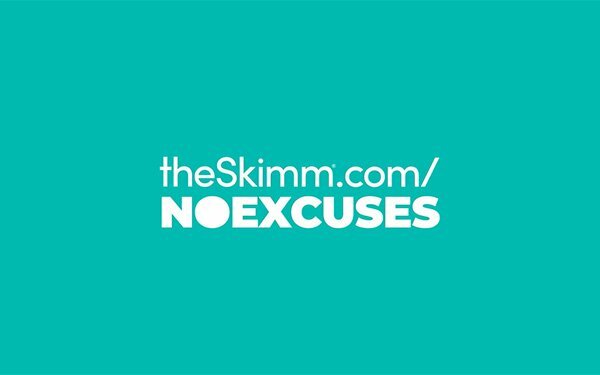 Yesterday, theSkimm’s “No Excuses” hub went live. It provides information to help get readers informed and to the polls on Election Day. It includes the most important dates and deadlines by state, primers on this year’s key races, registration status checks and the ability to register to vote, as well as a polling place locator. “We want Skimm’rs to feel empowered to make the decision that is right for them. We aren’t going to ask you your party affiliation, which candidate you like, or where you come down on issues. We just want you to vote,” the cofounders wrote. The site will soon have the option to build a personalized ballot cheat sheet. In May, theSkimm announced it had raised $12 million in a Series C funding round from a majority of female investors.